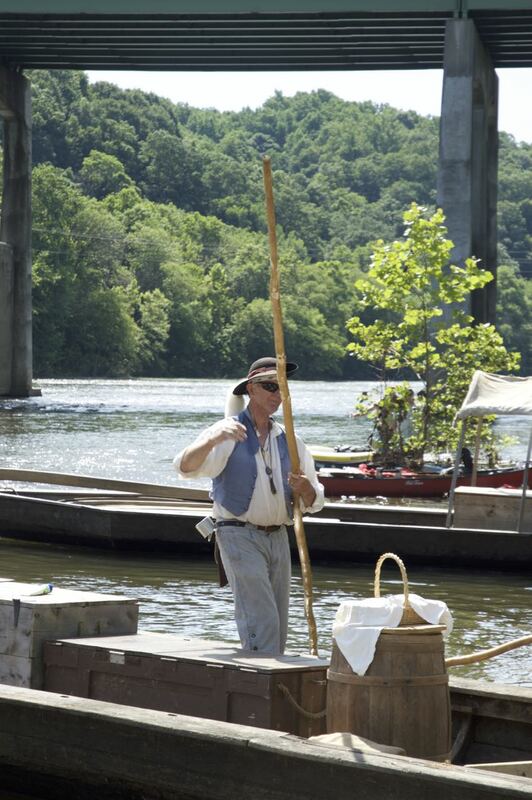 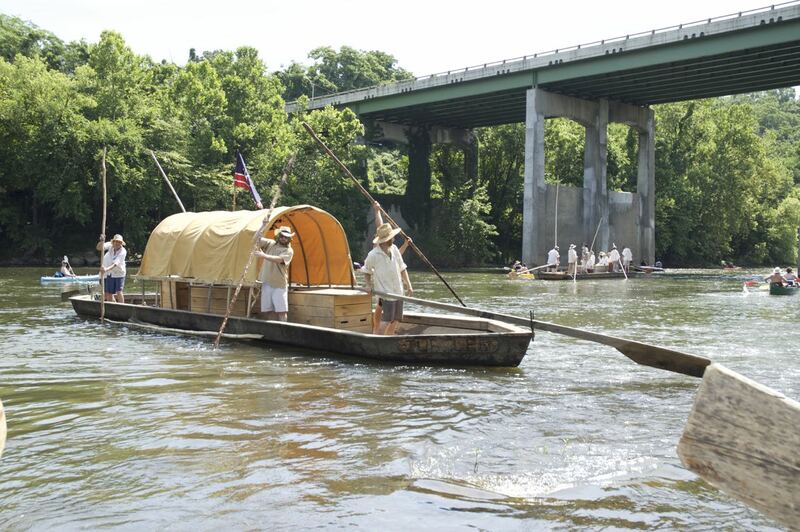 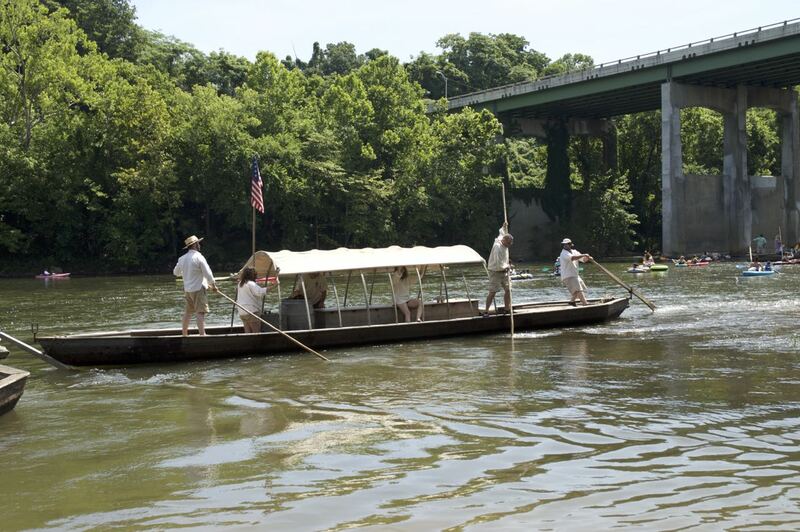 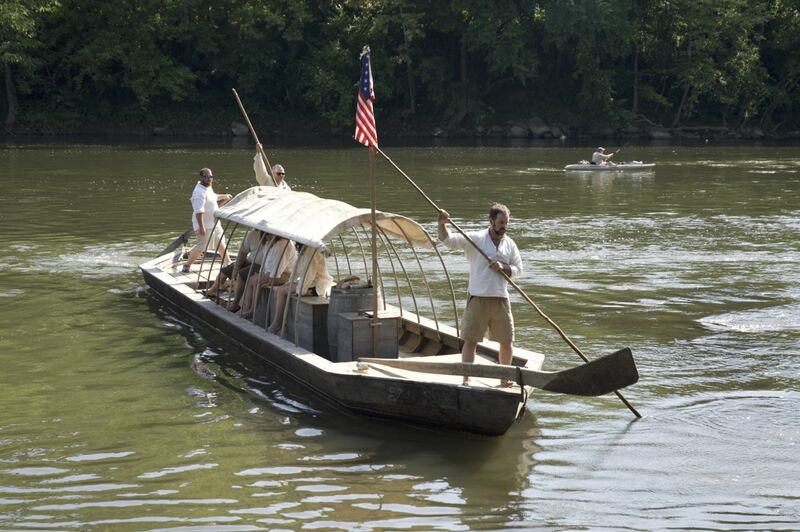 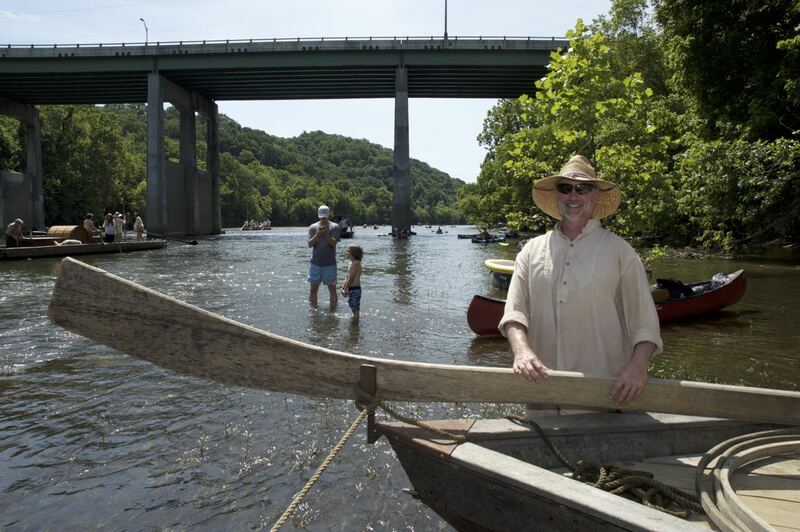 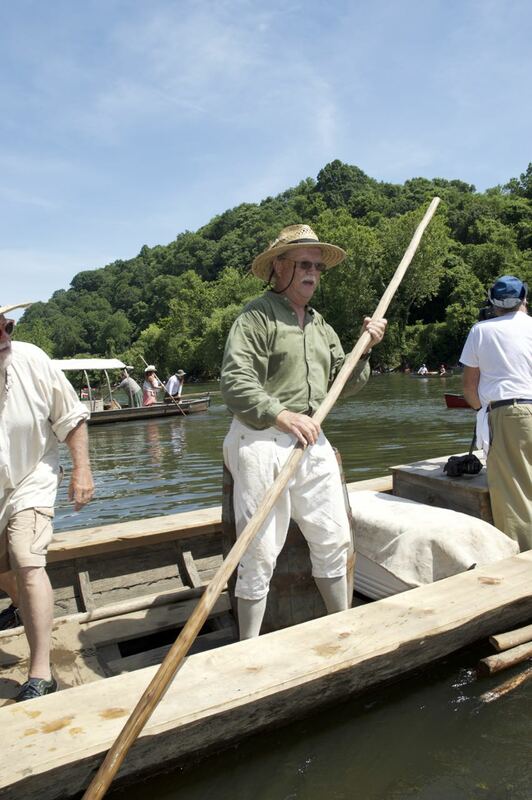 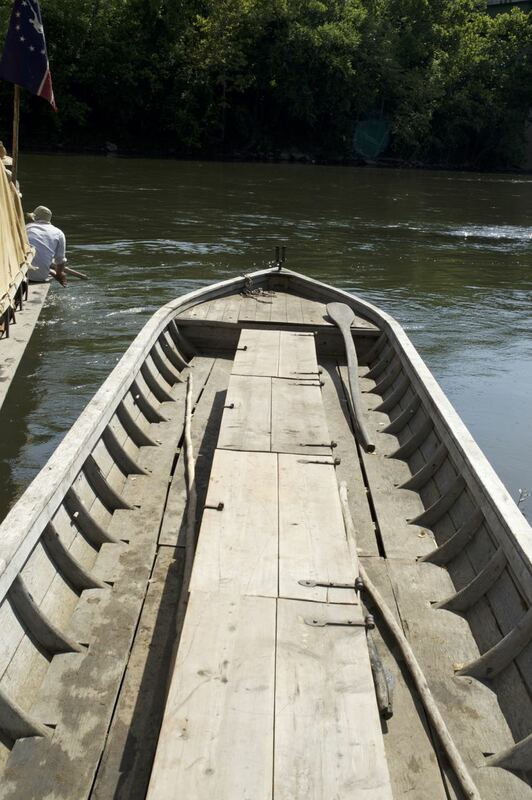 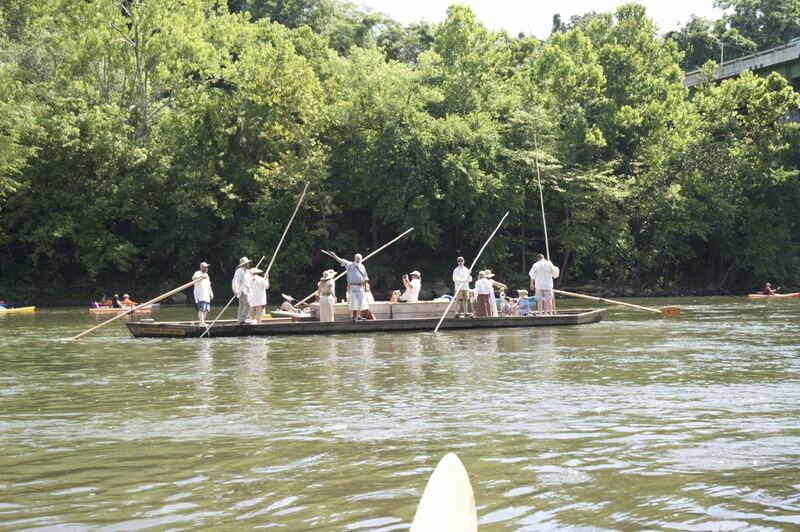 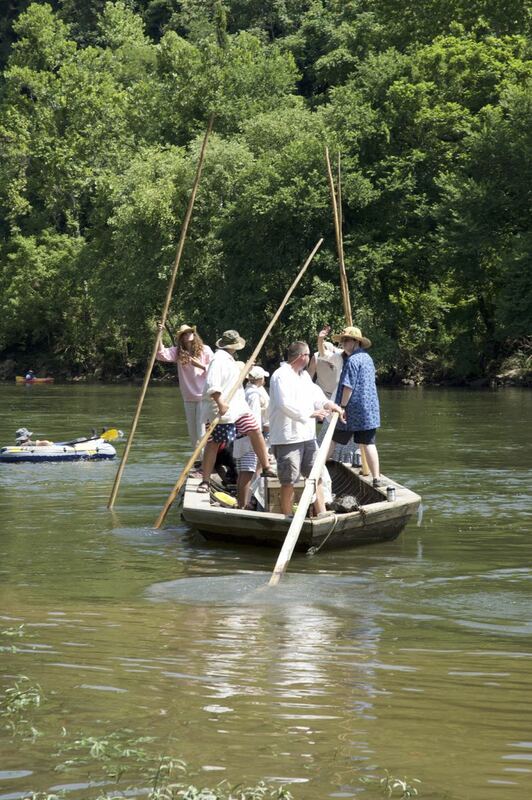 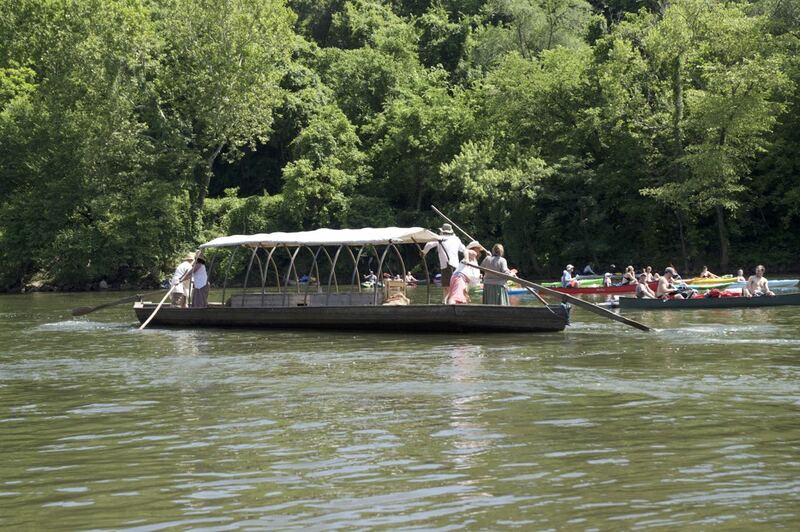 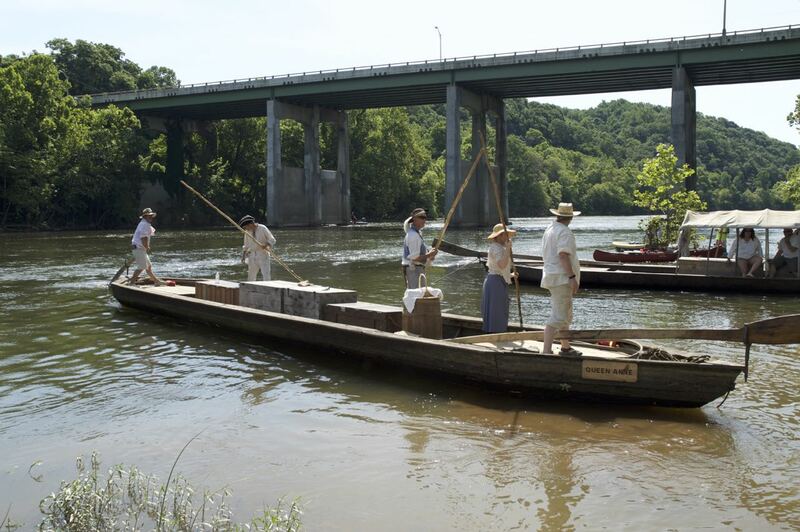 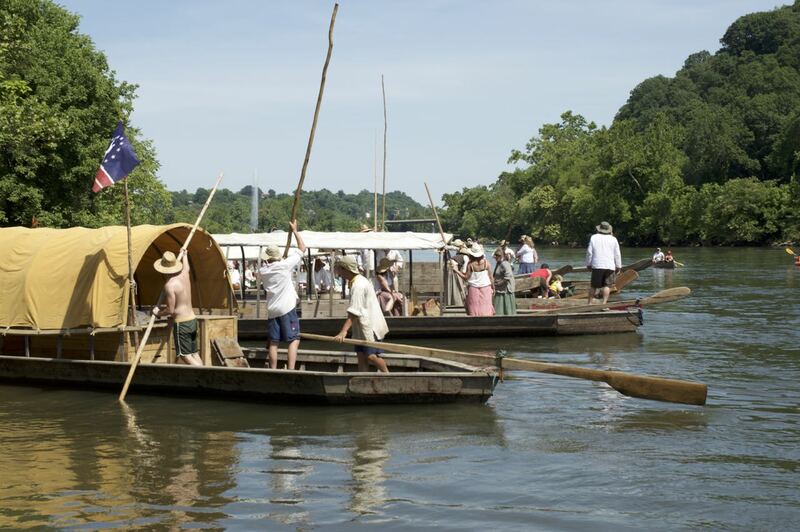 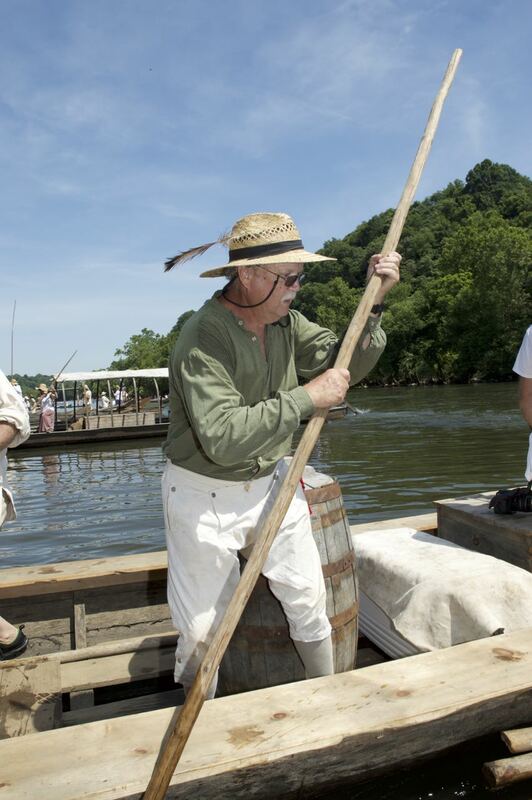 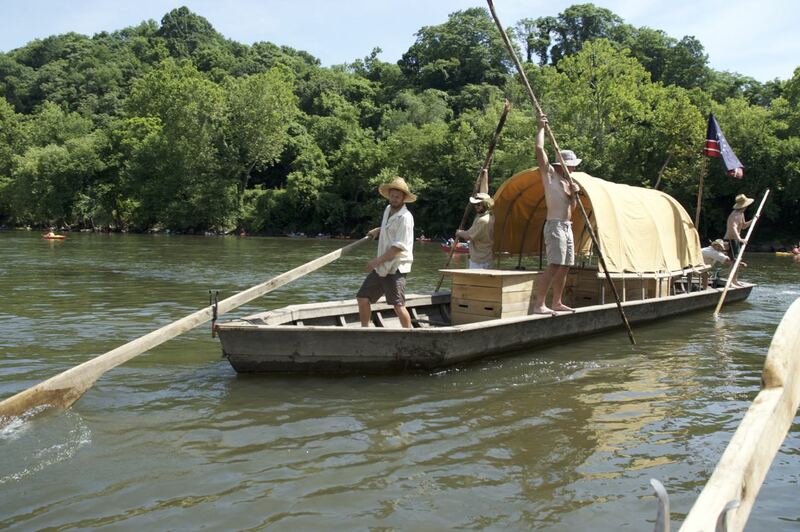 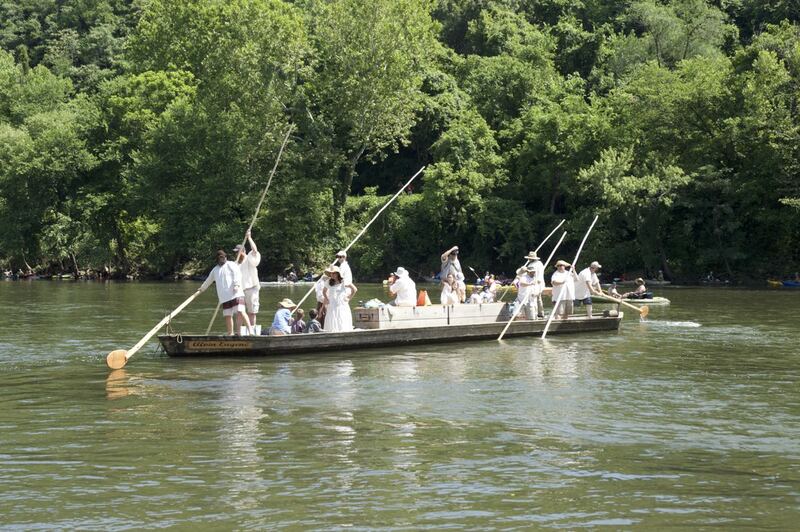 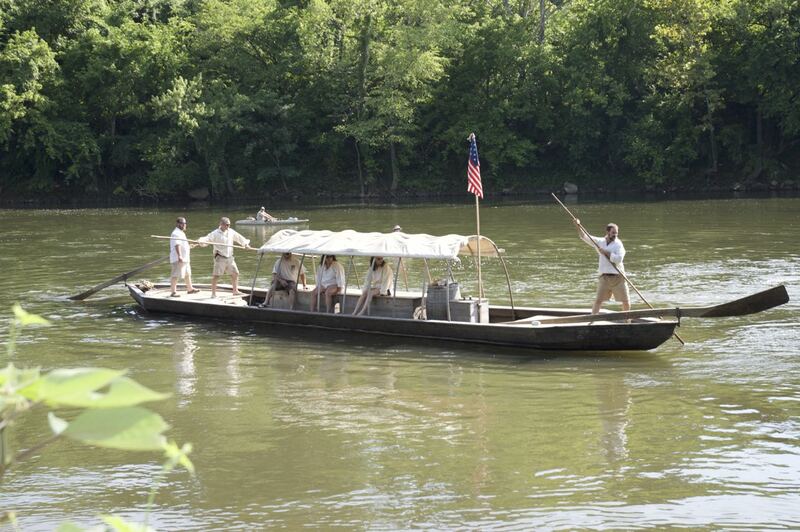 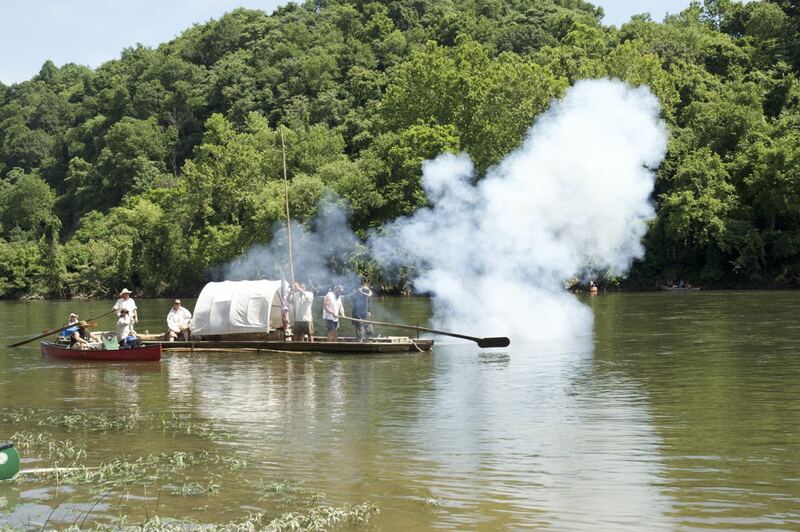 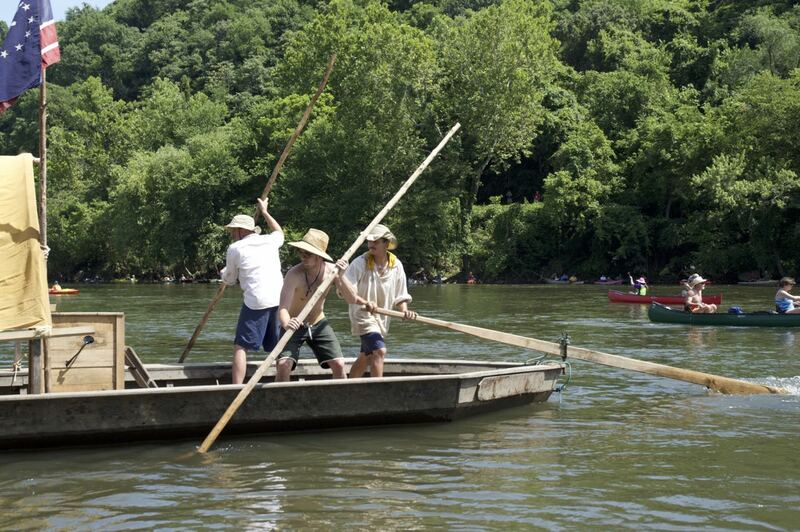 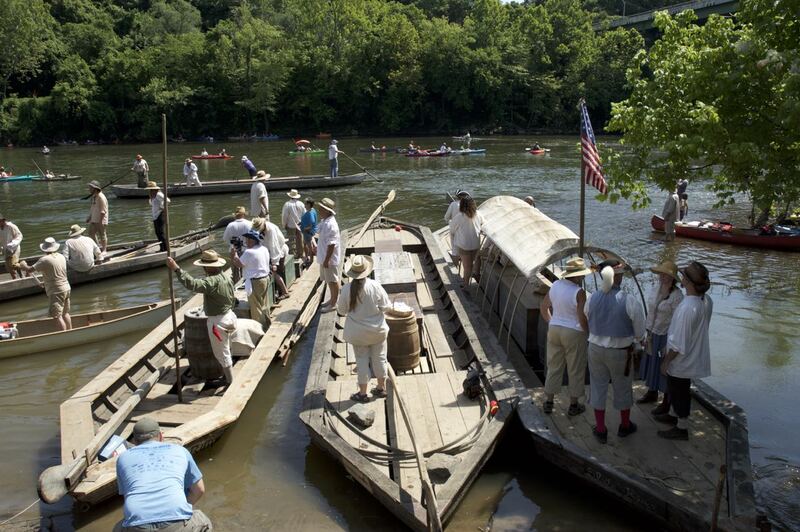 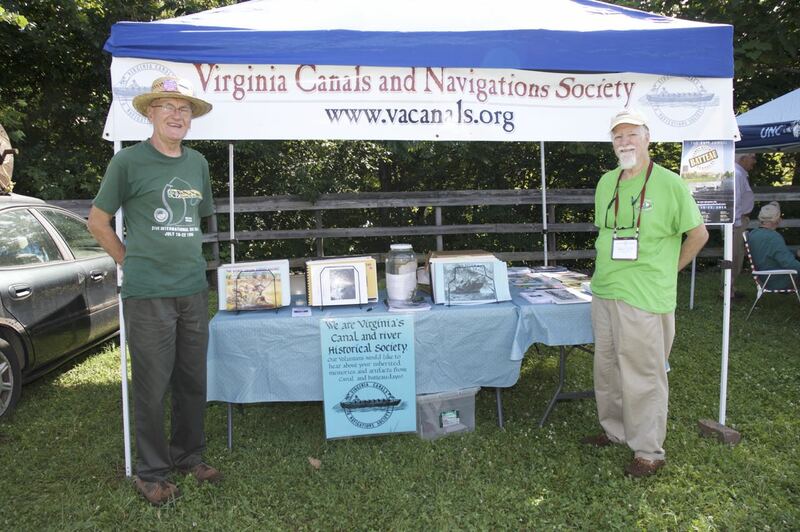 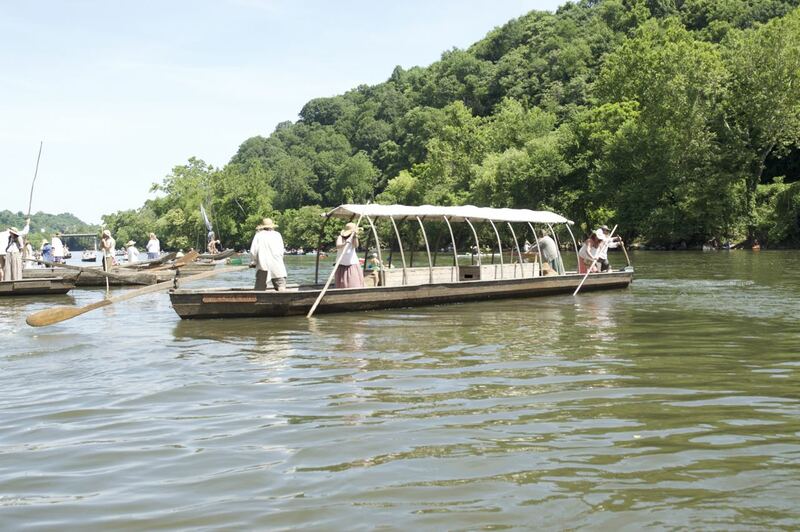 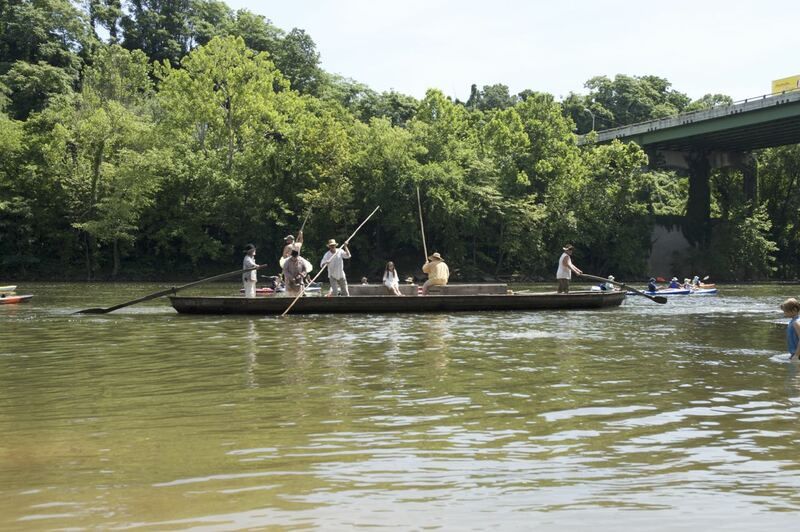 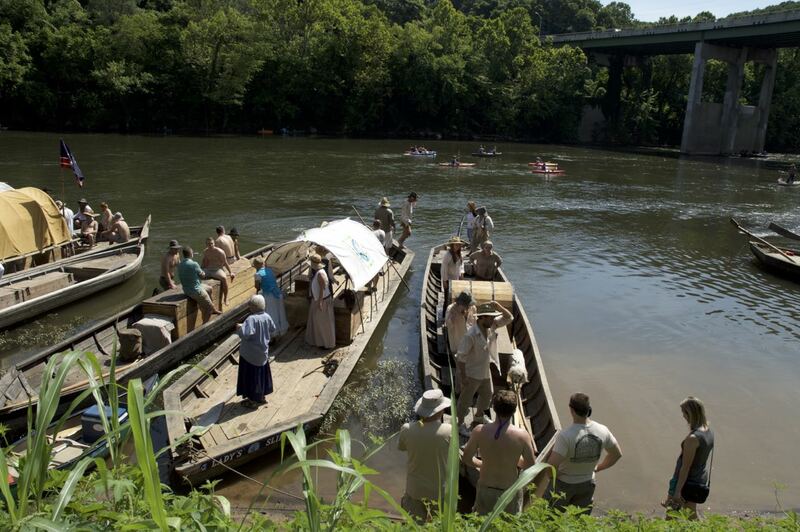 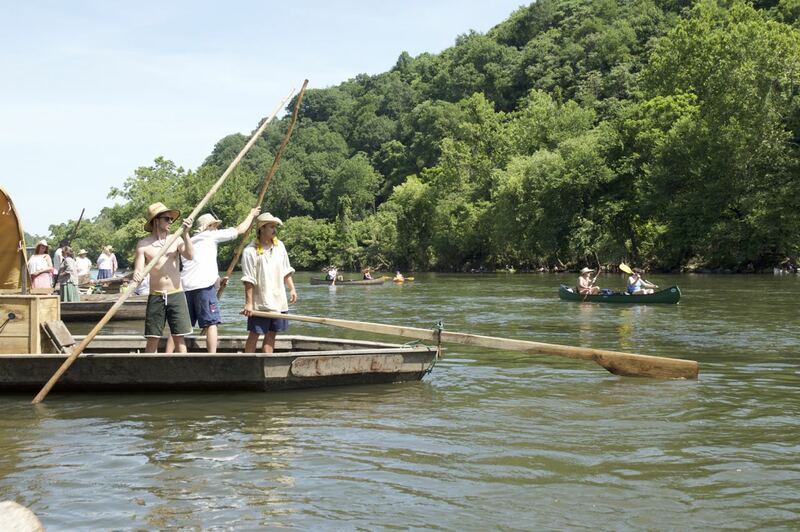 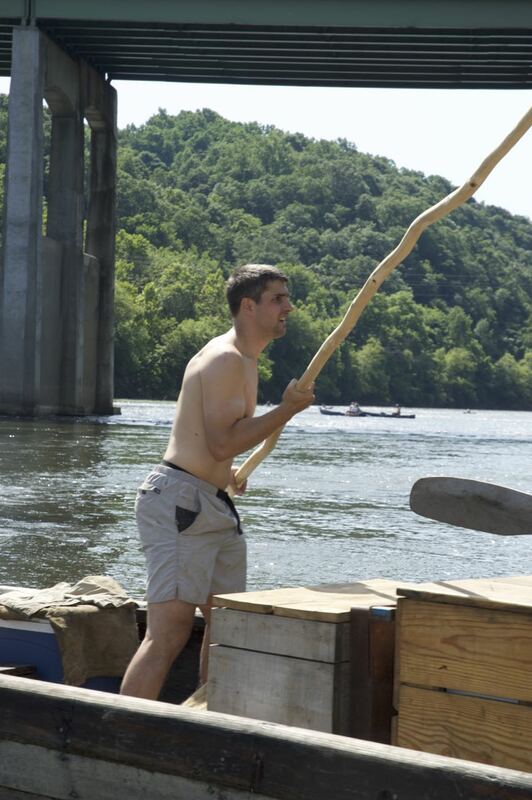 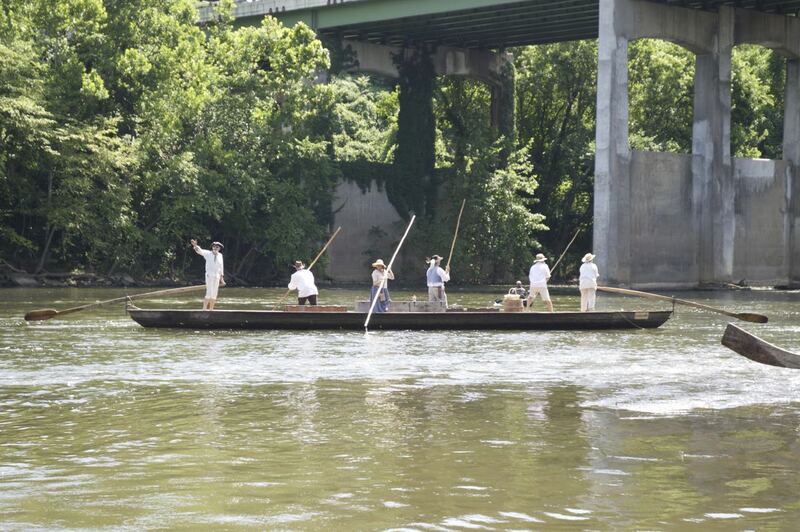 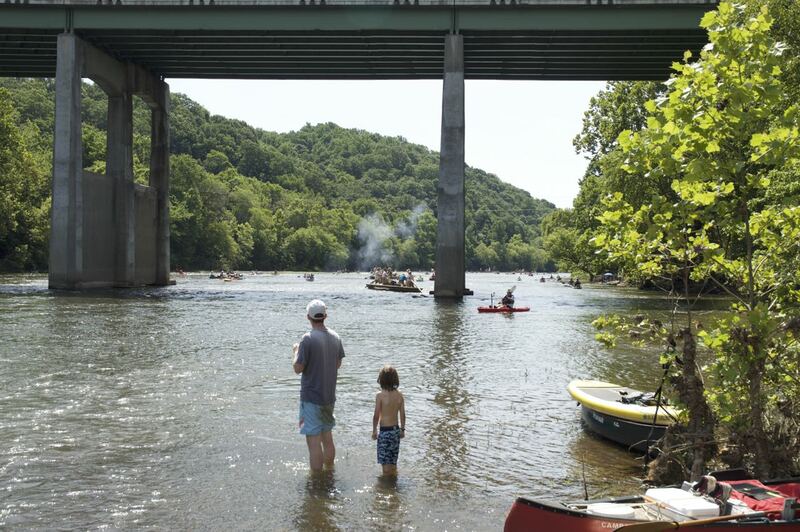 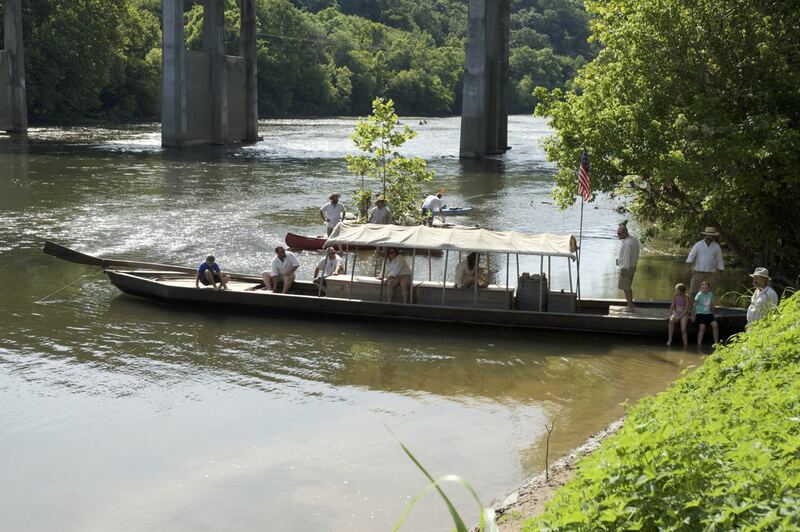 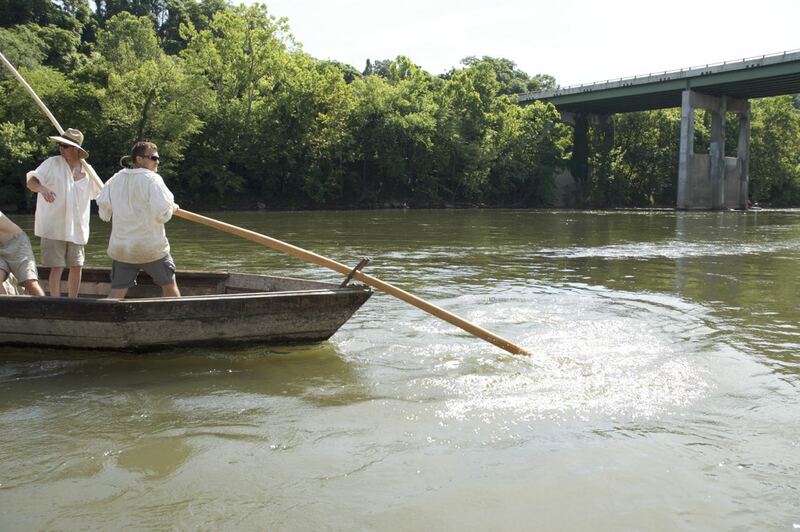 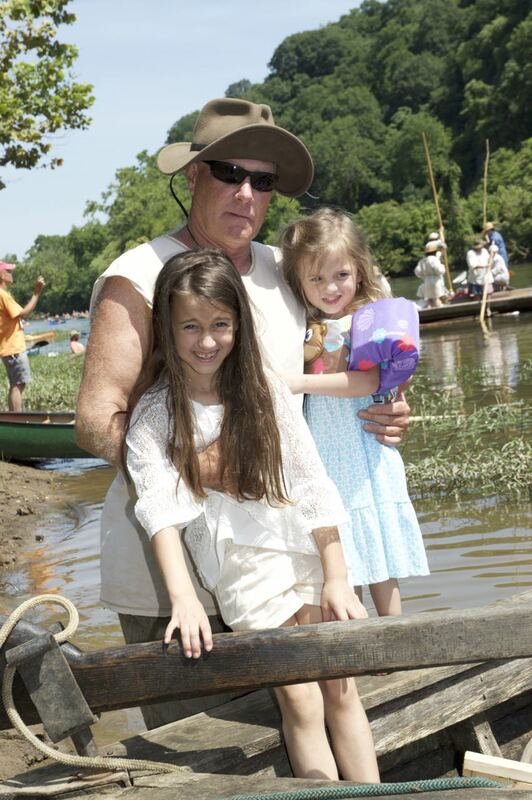 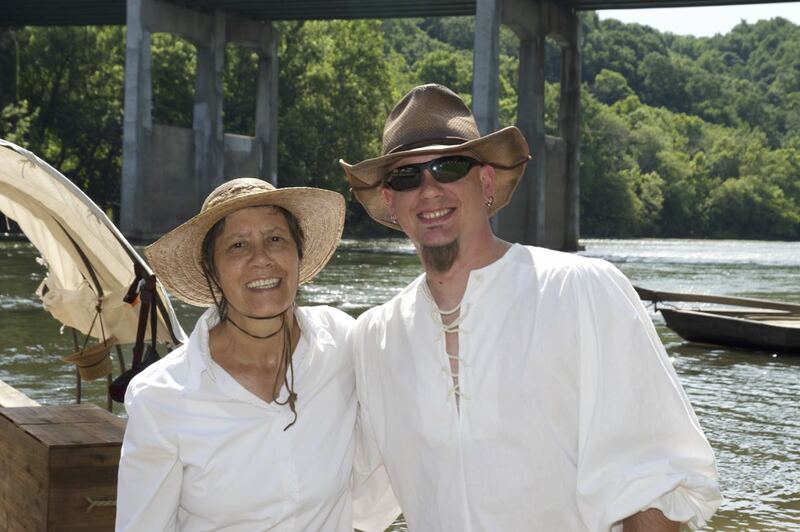 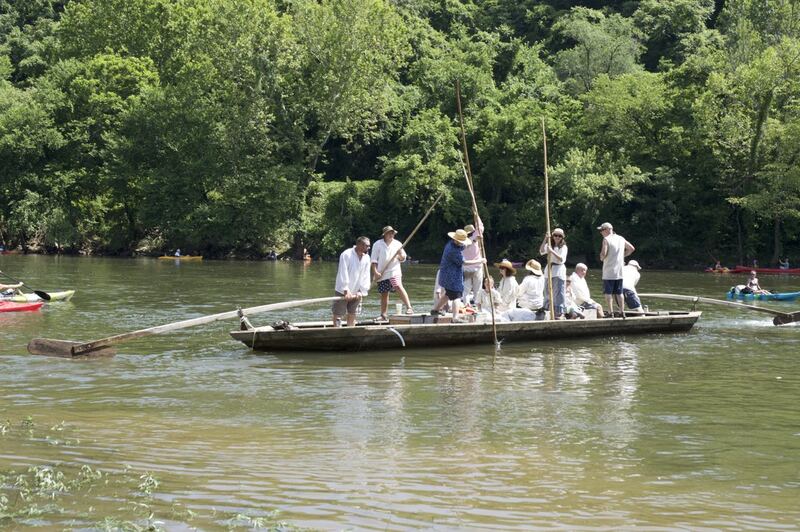 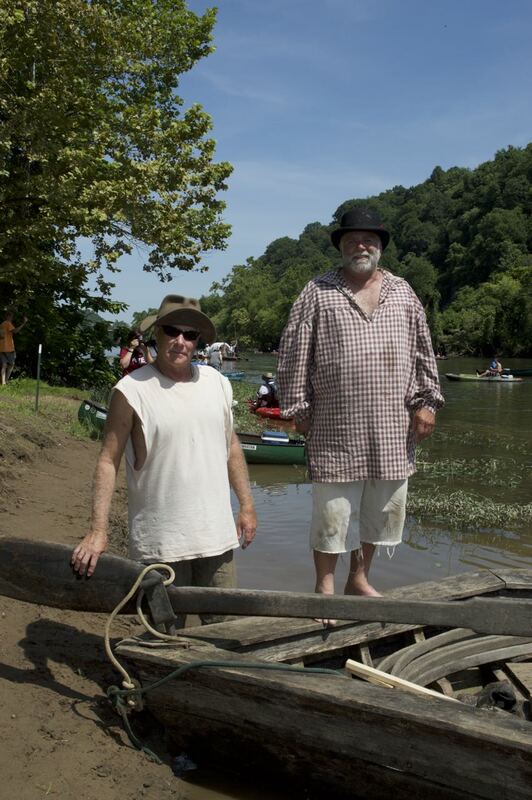 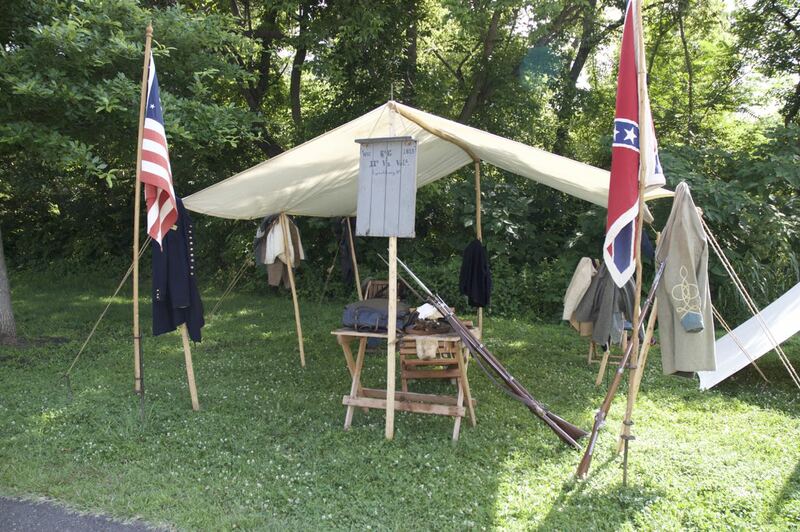 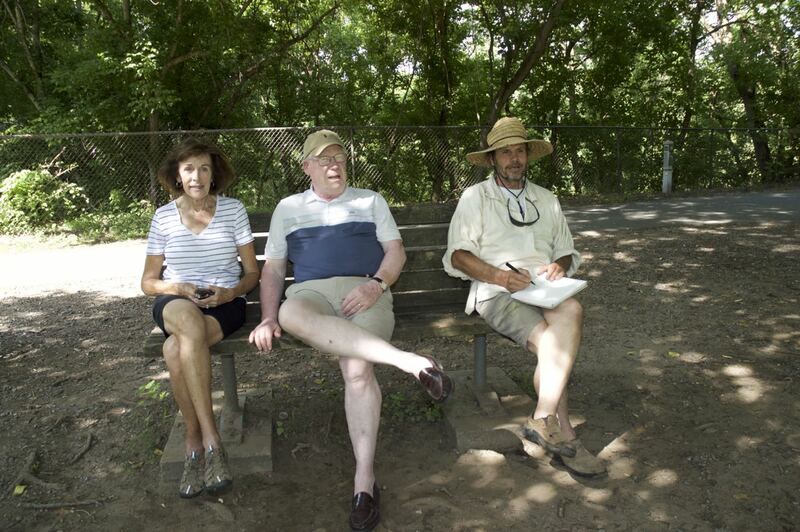 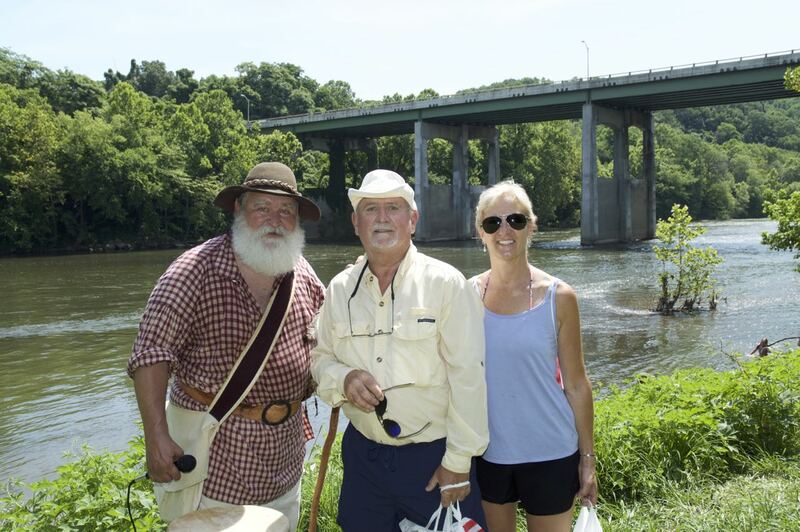 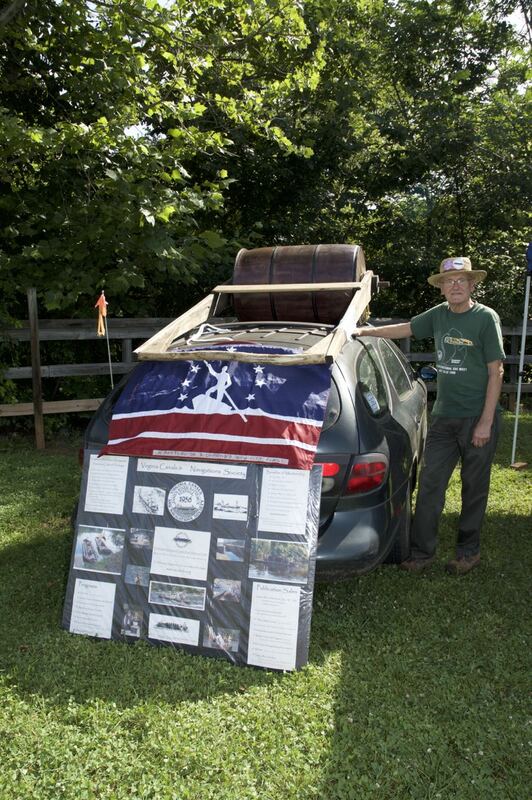 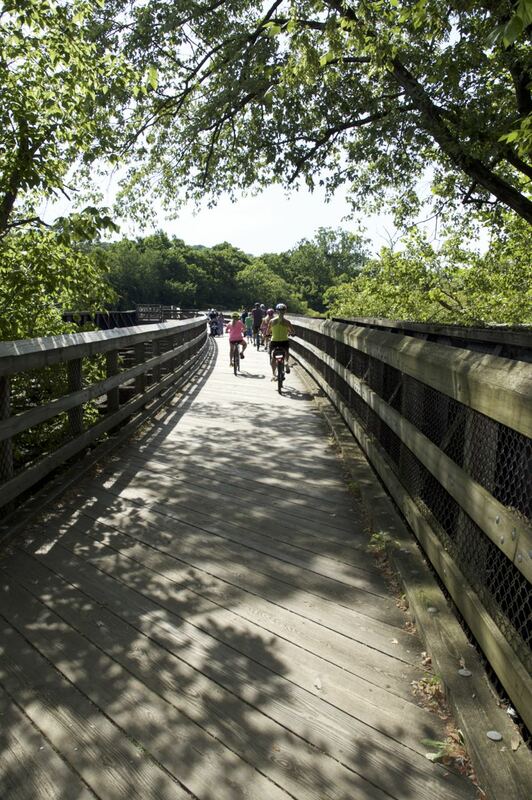 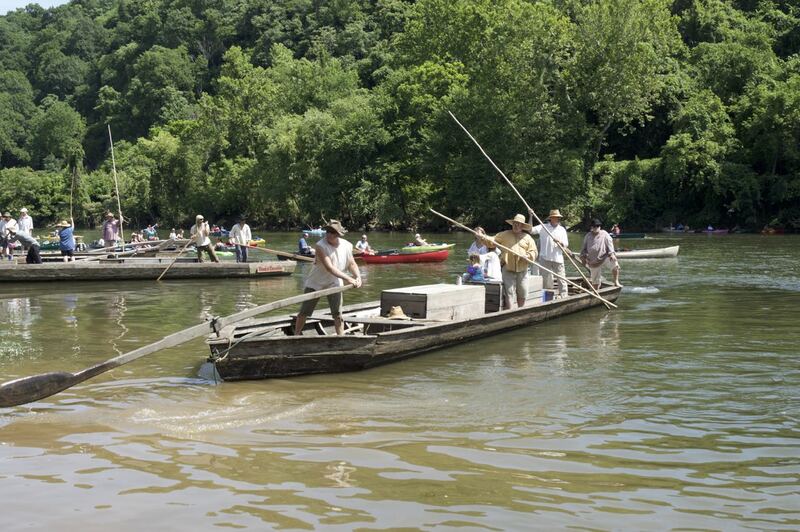 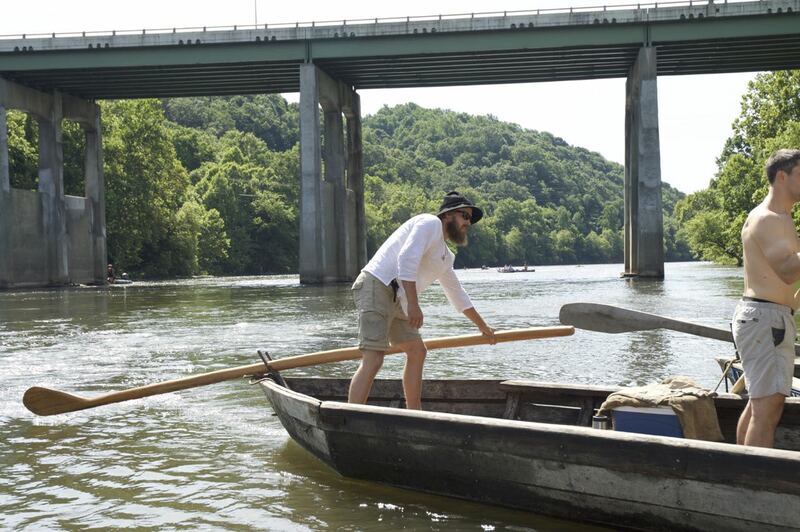 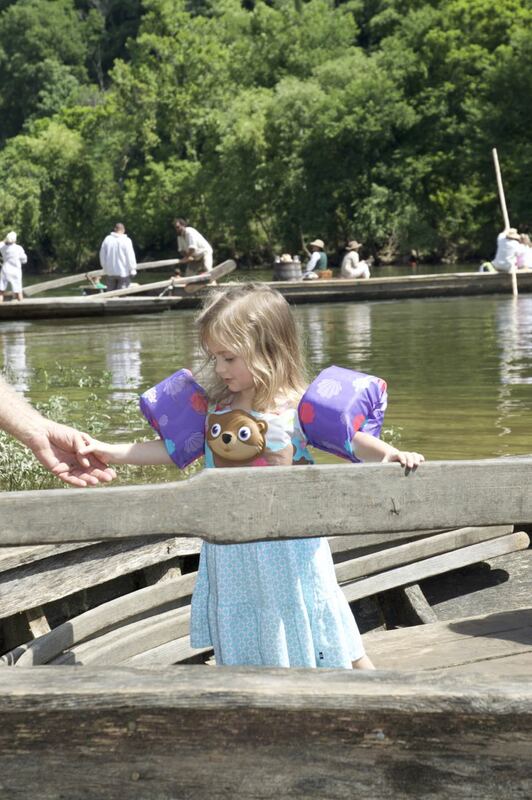 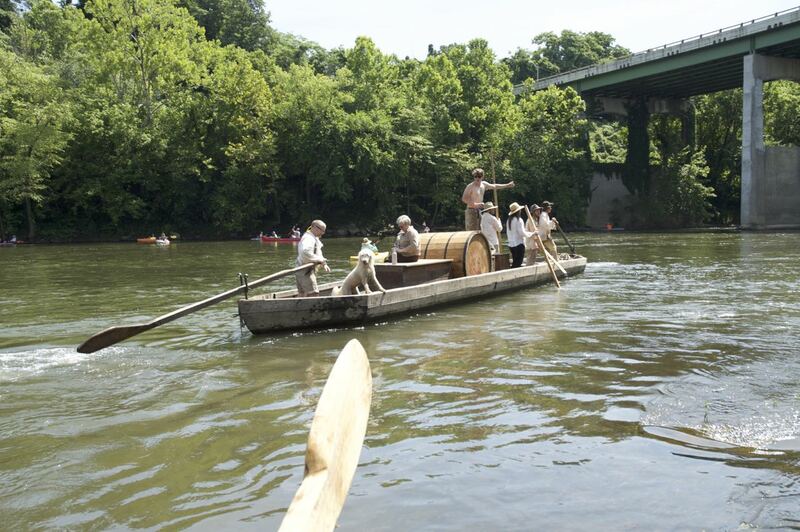 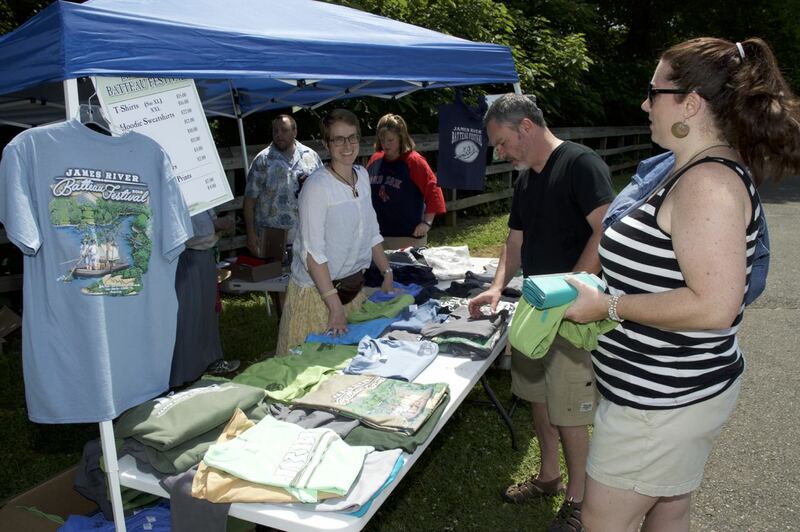 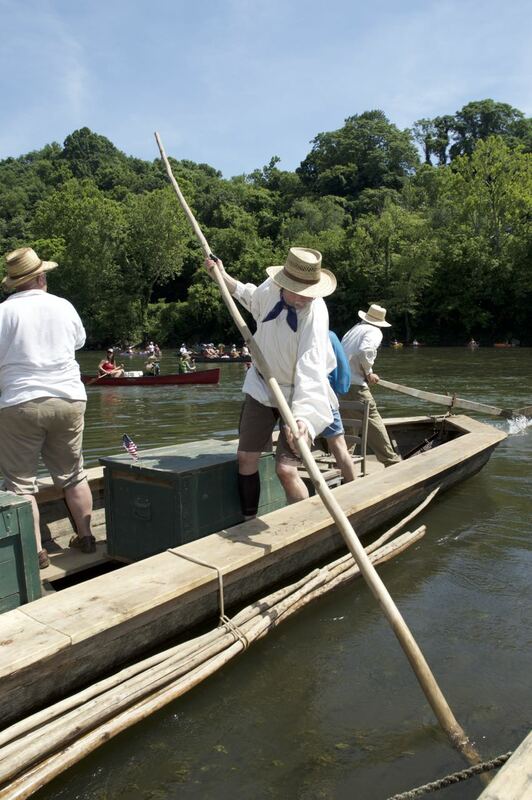 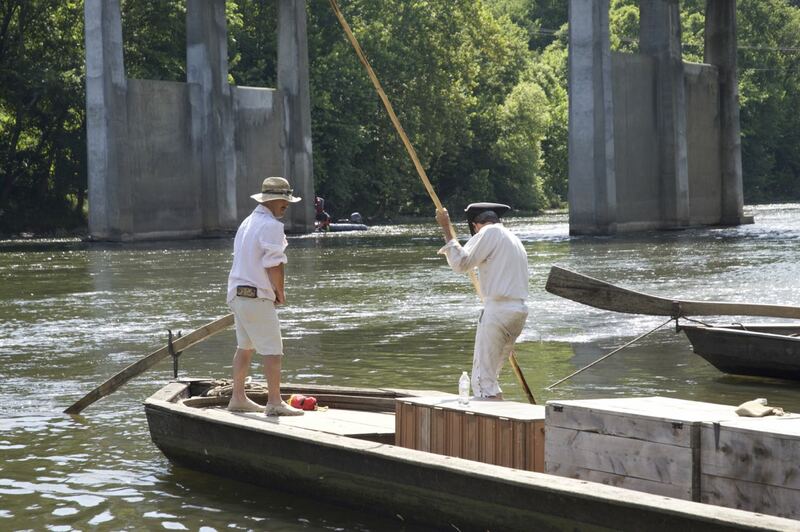 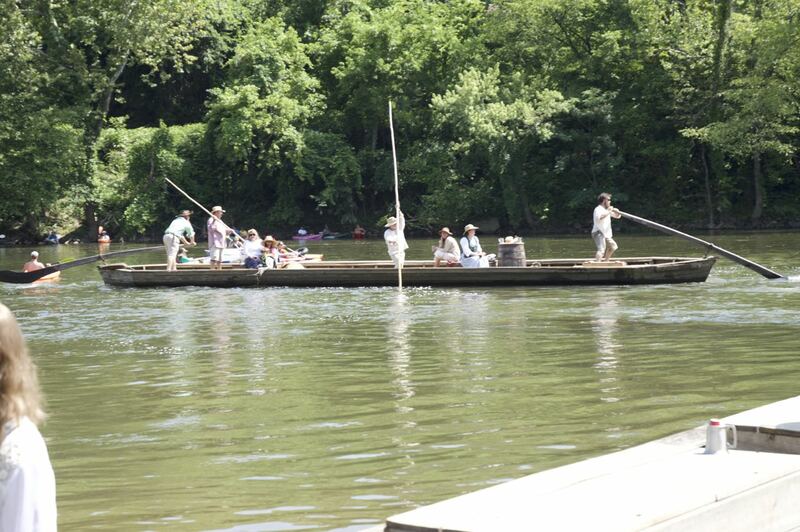 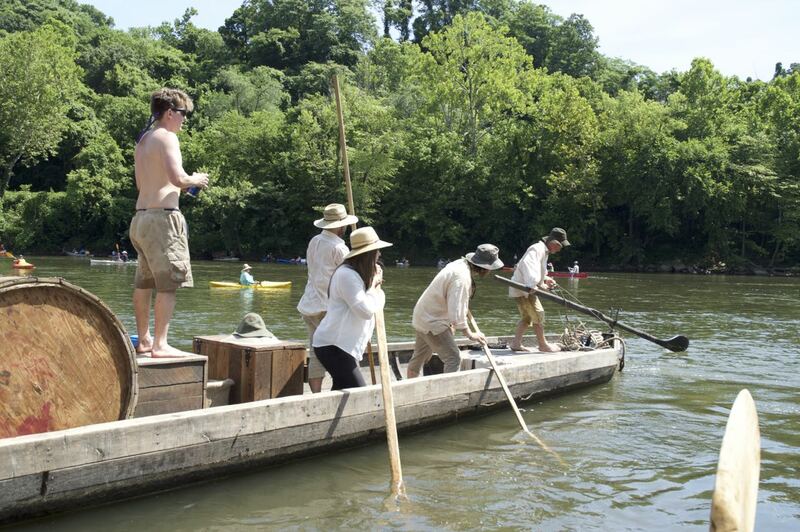 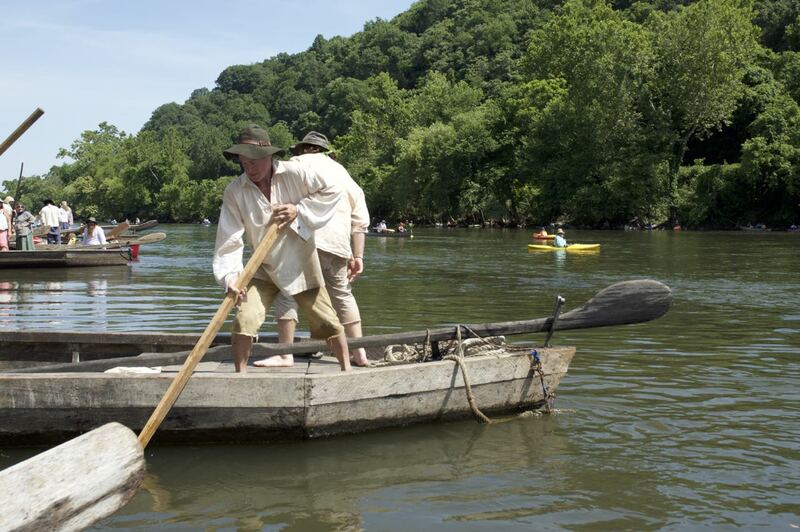 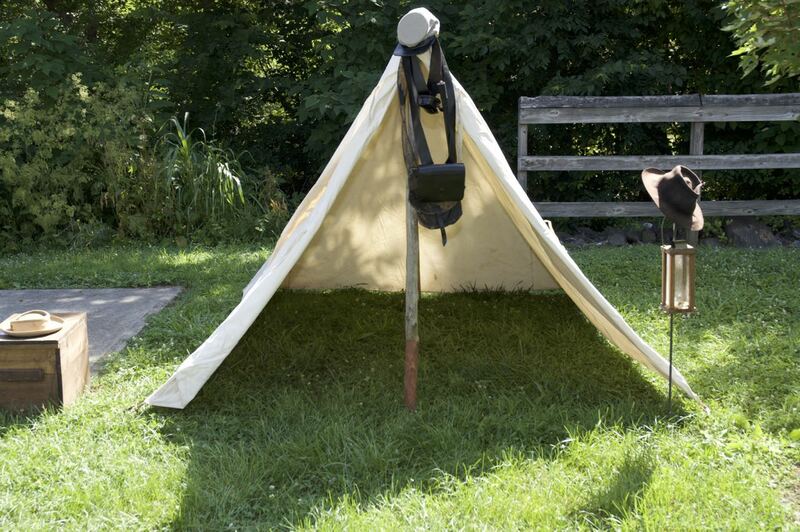 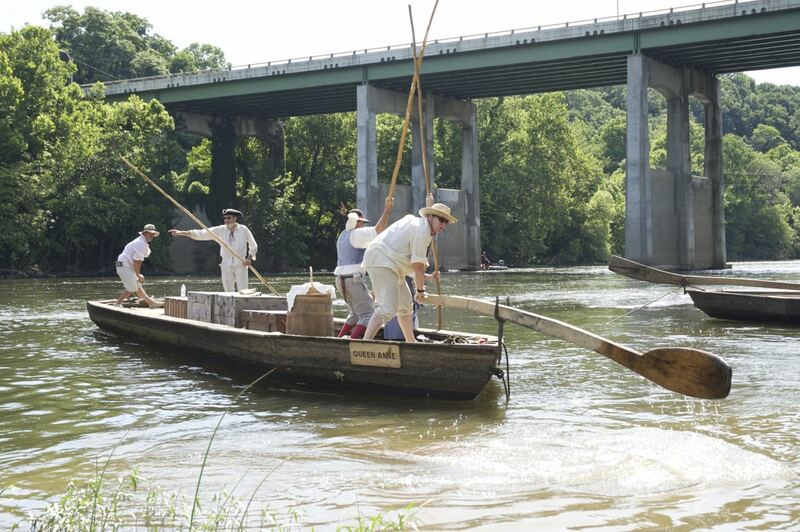 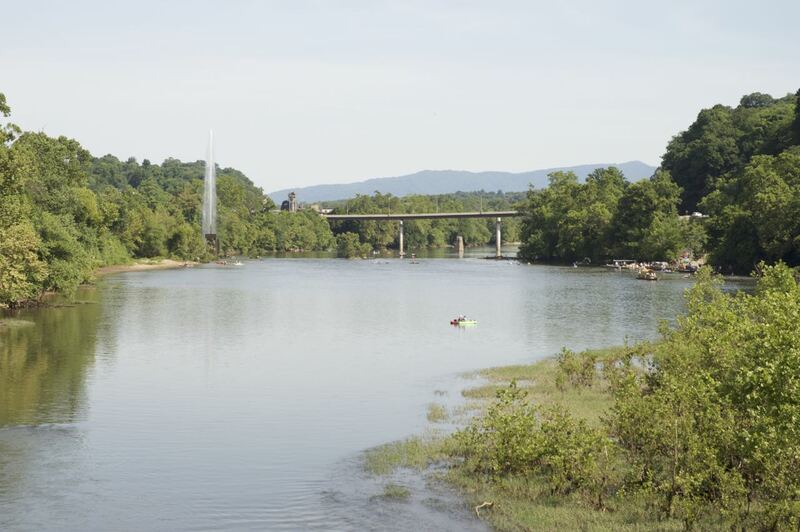 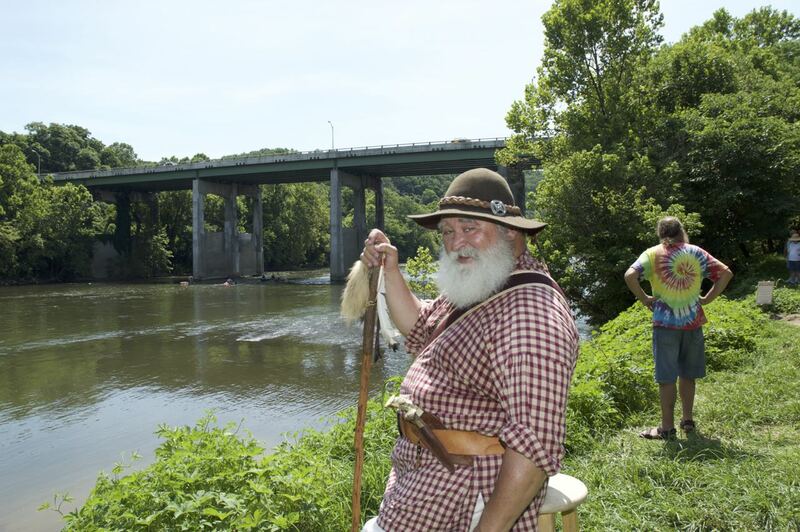 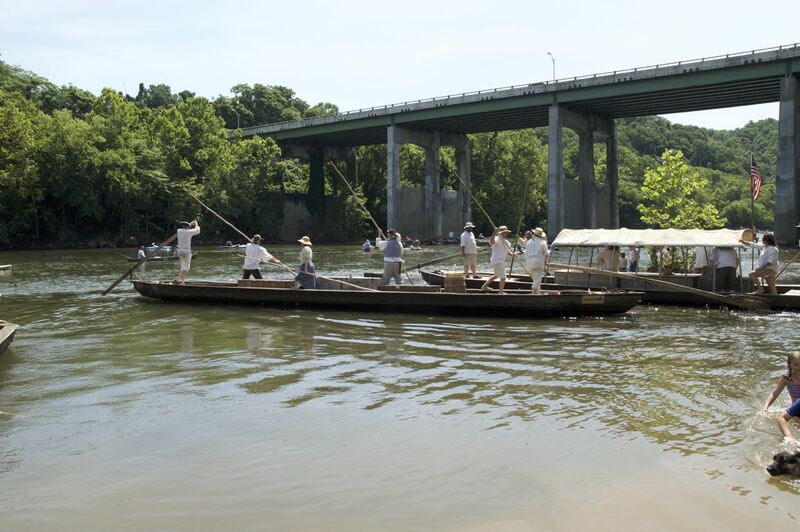 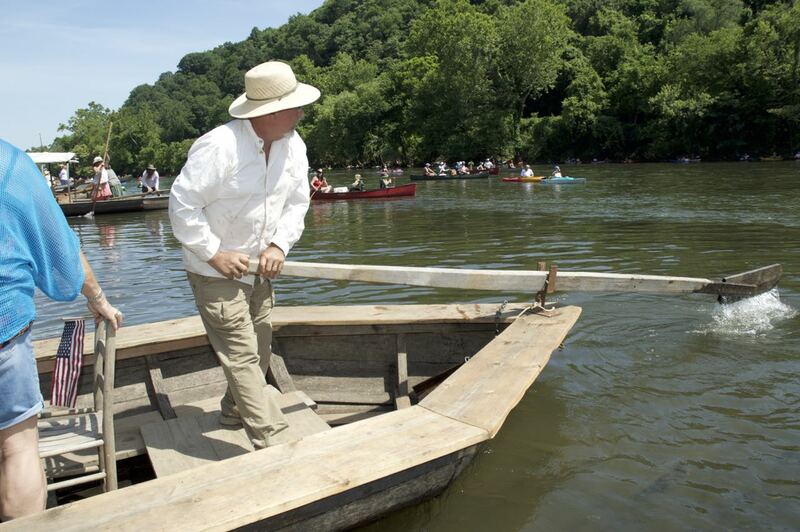 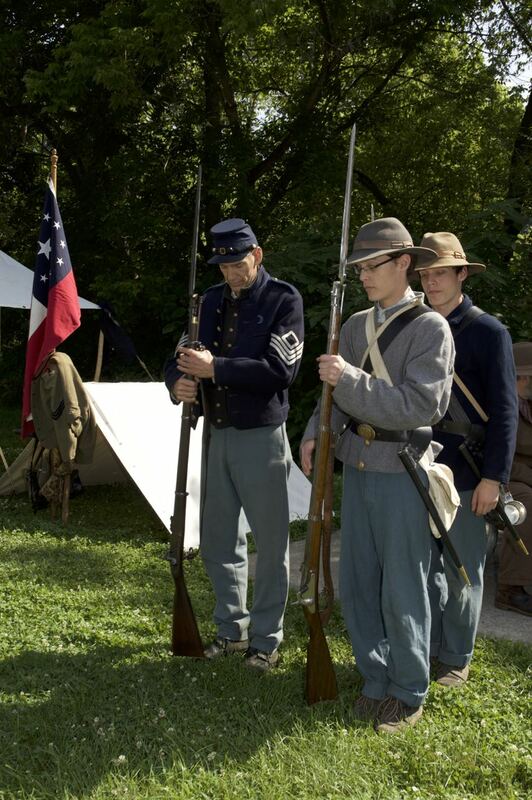 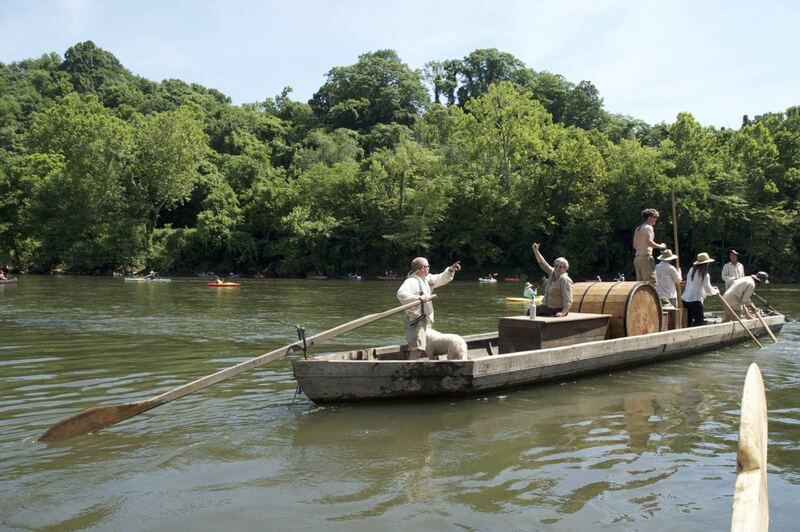 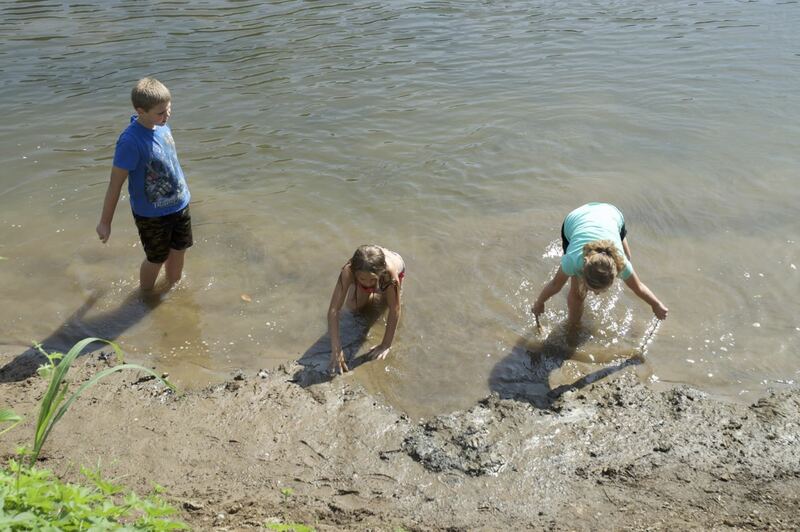 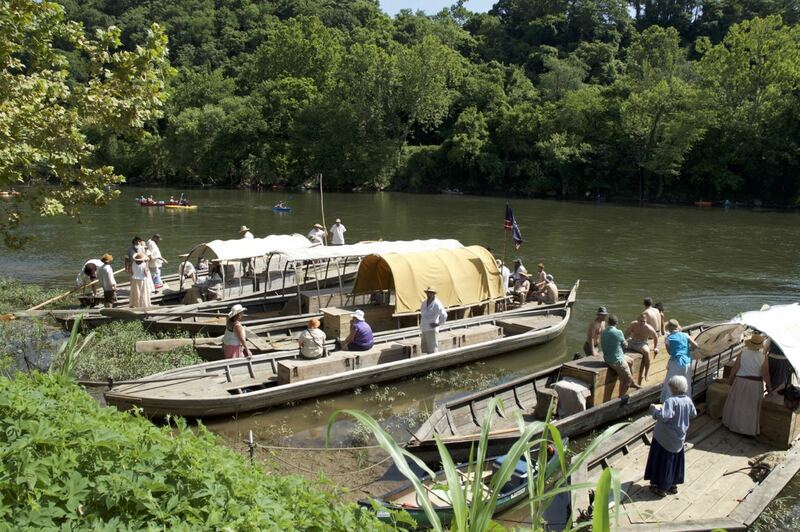 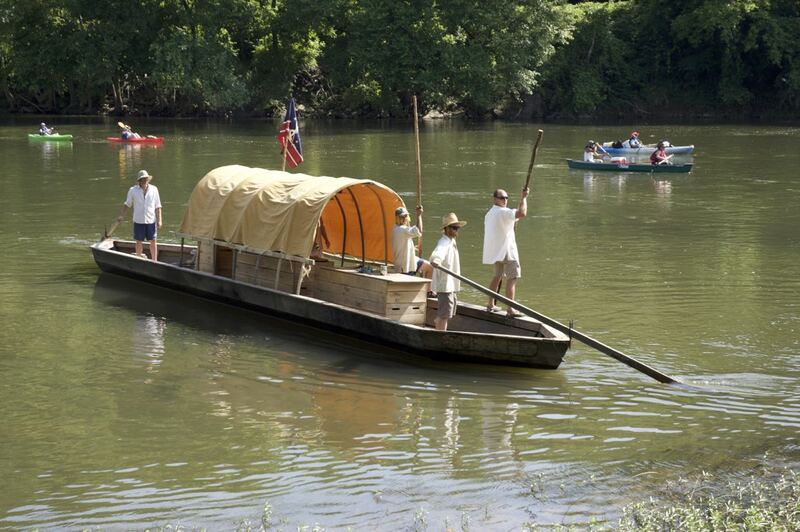 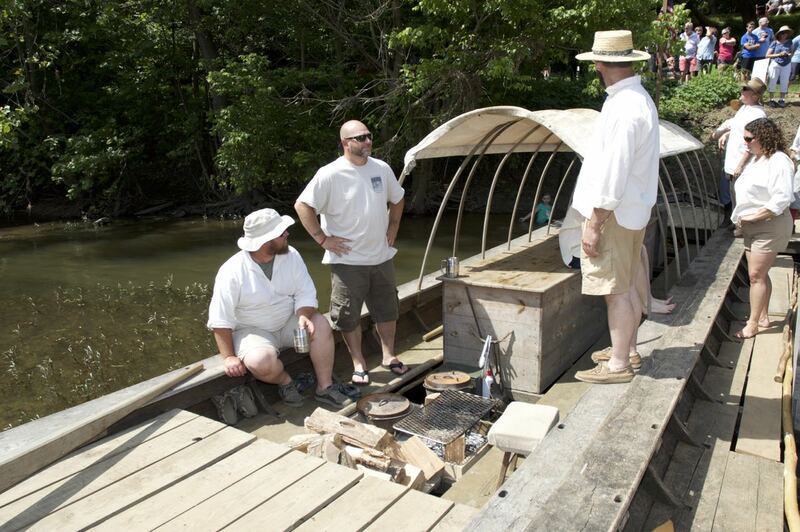 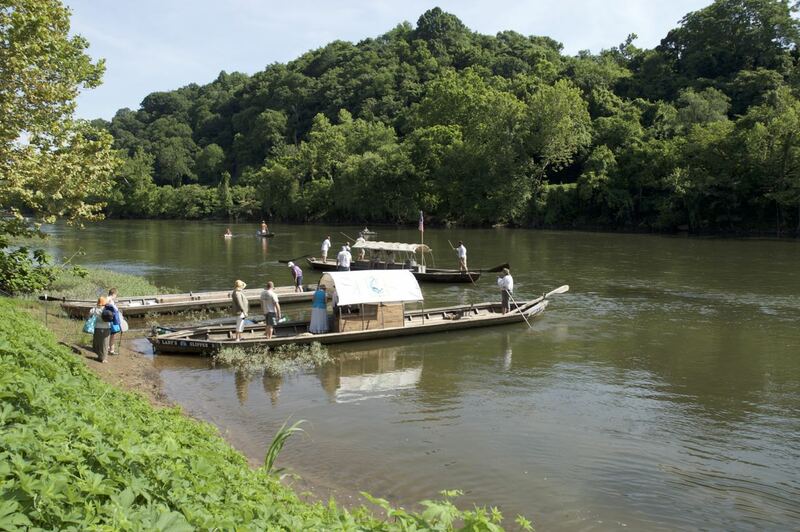 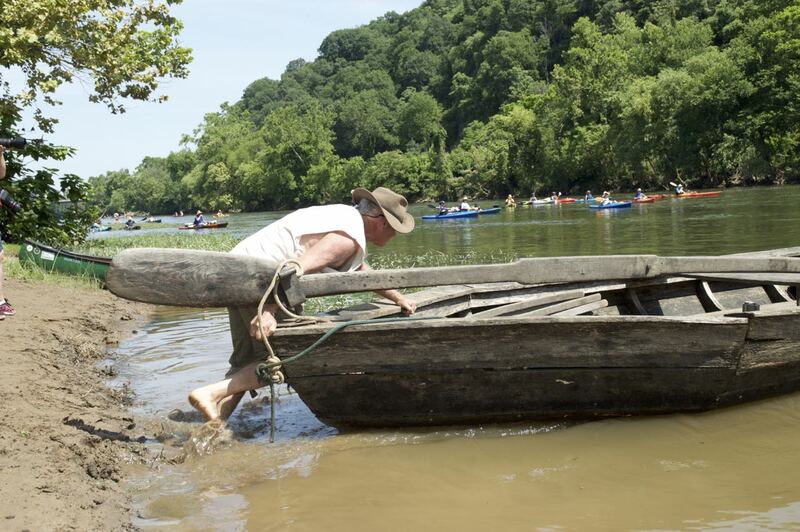 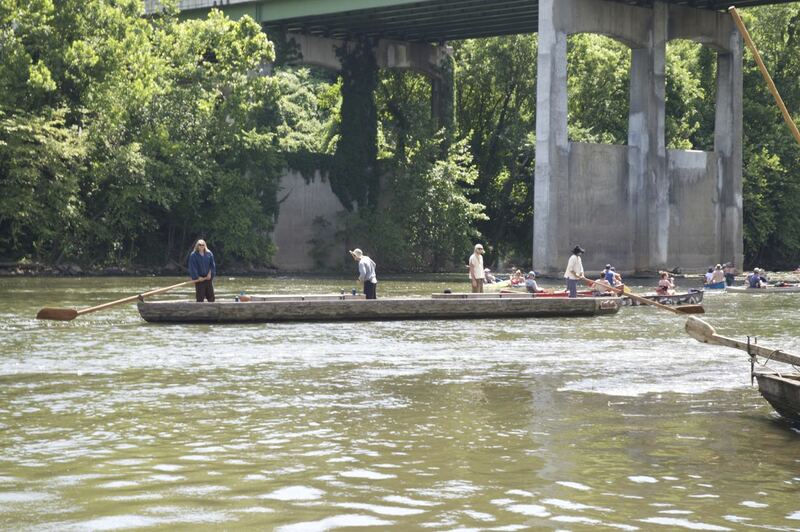 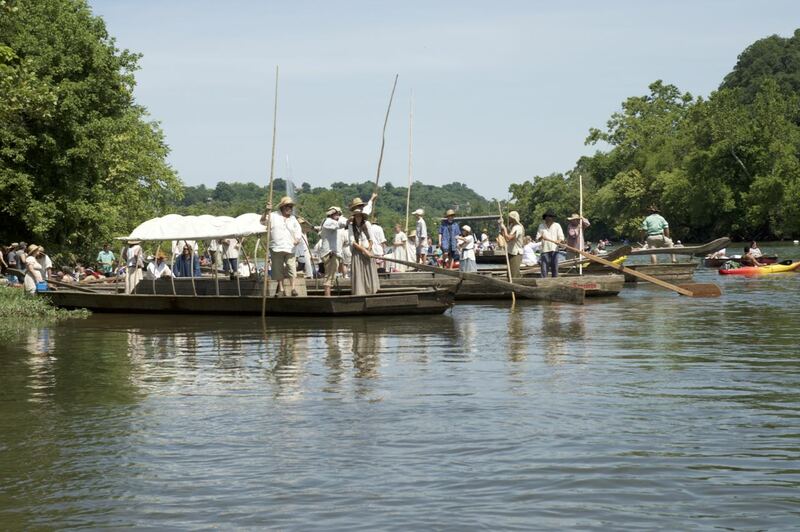 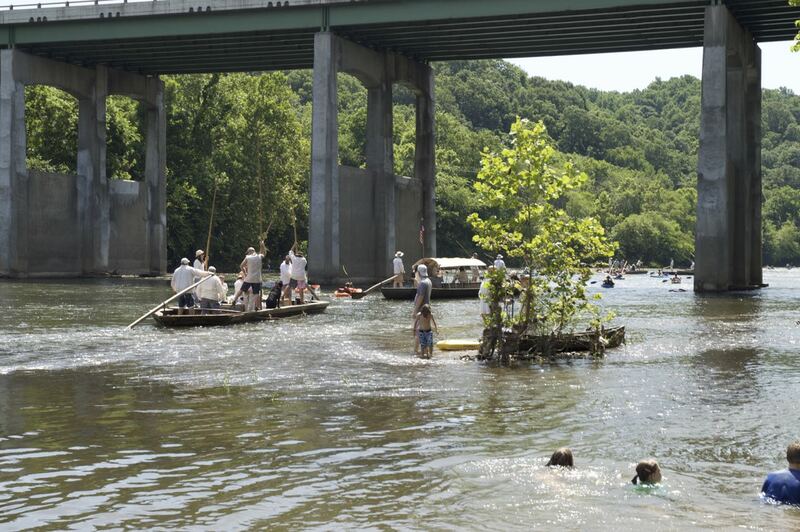 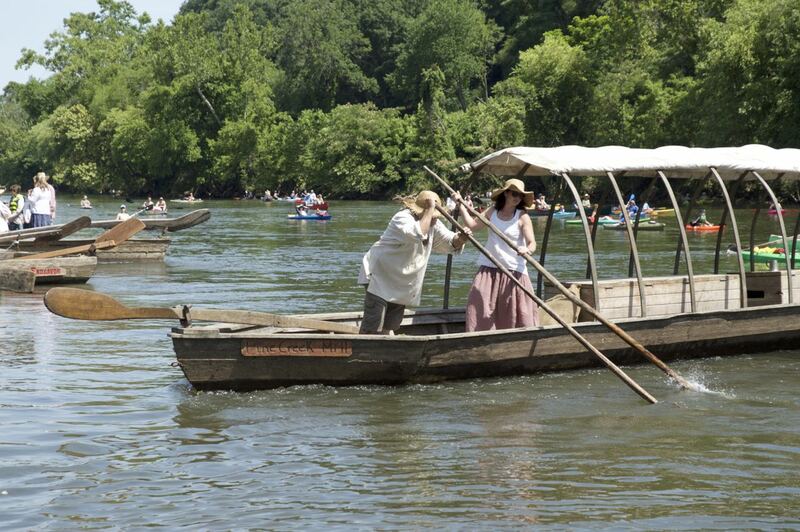 The James River Batteau Festival began in Lynchburg, Virginia. 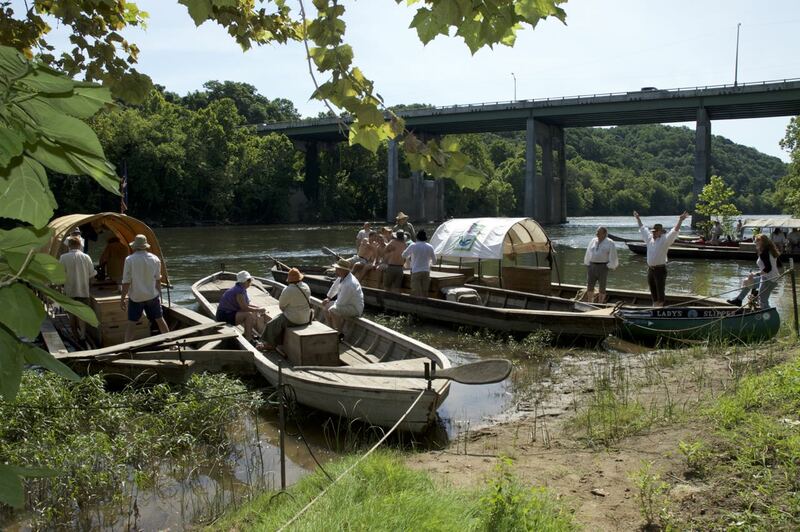 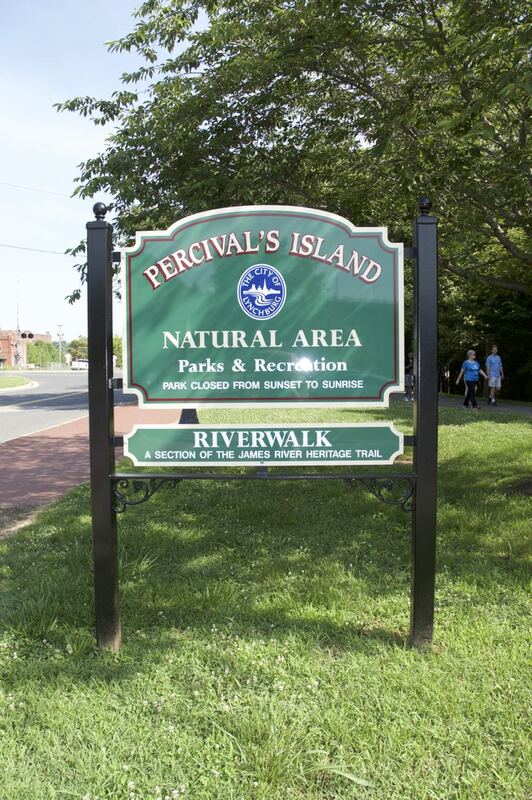 The boats were lined up along the beach of Percival’s Island. 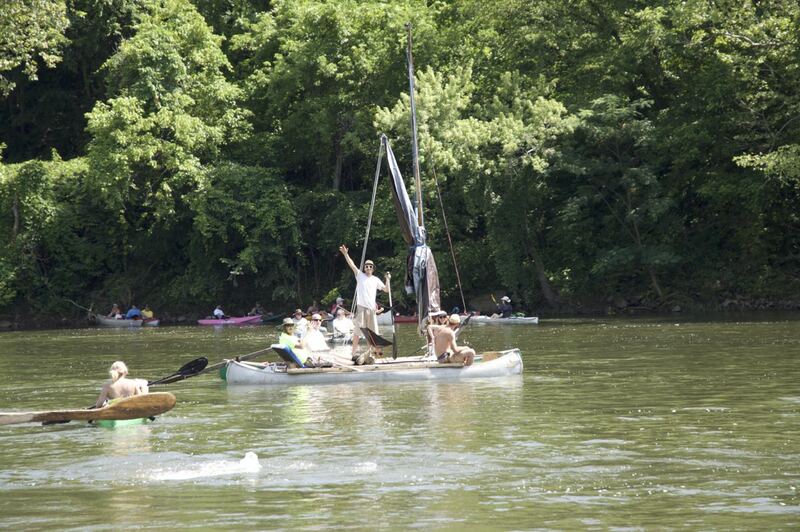 Once again Jeff Taylor announced the boats and did a fantastic job as usual. 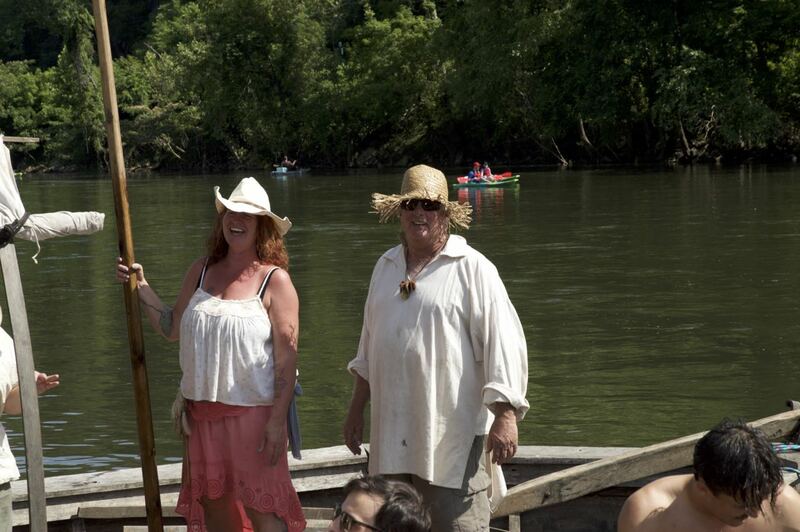 The weather was perfect, the kind you only get once every few festivals! 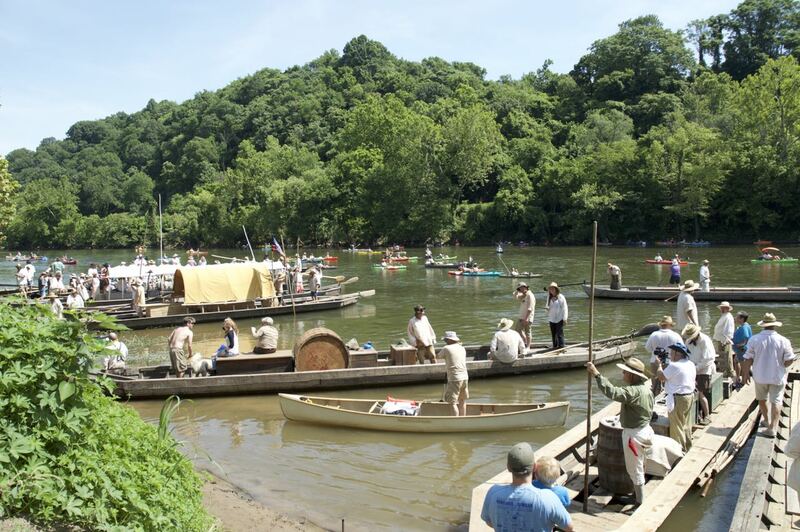 Everyone looked all clean and ready to go in their best old-timey outfits. 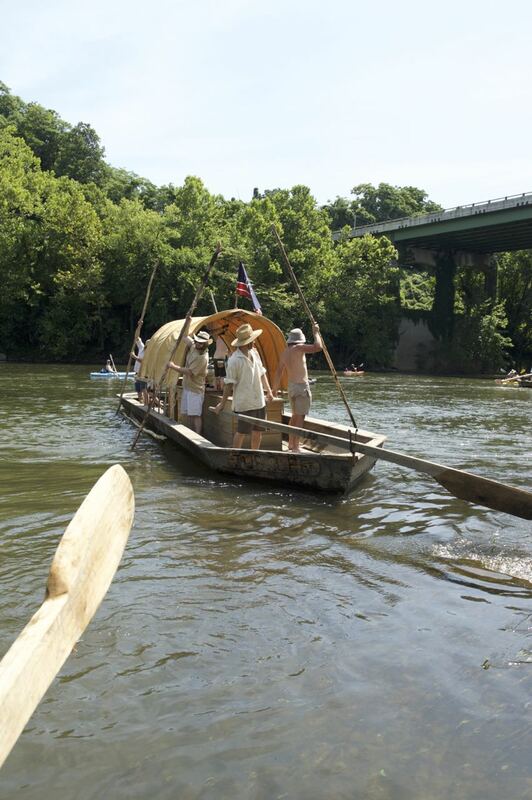 A new batteau to the festival this year is from the James River State Park is the batteau Madison. 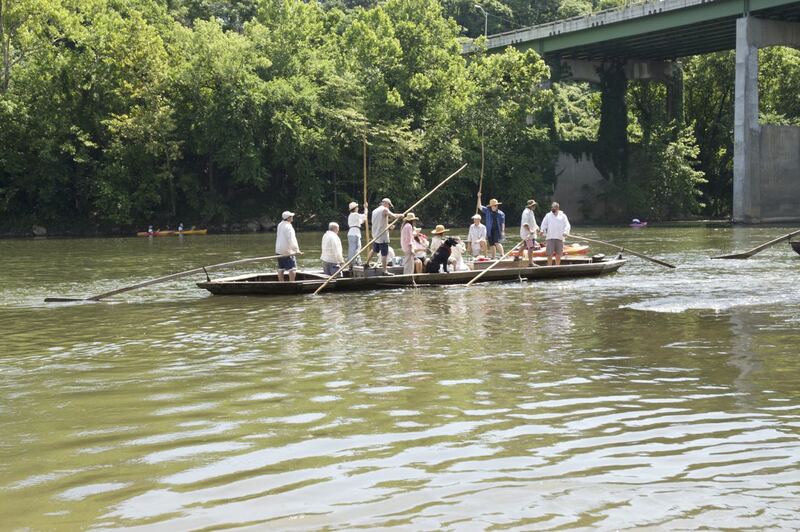 Long time friend of the Batteau Festival, Mr. Mike Lee, took the front sweep and a crew lady from the Lady’s Slipper is also helping out as the new crew learns what to do. 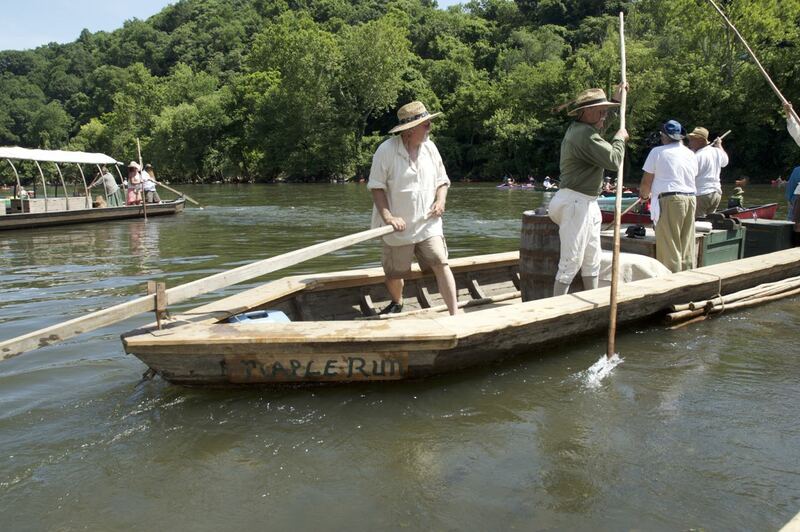 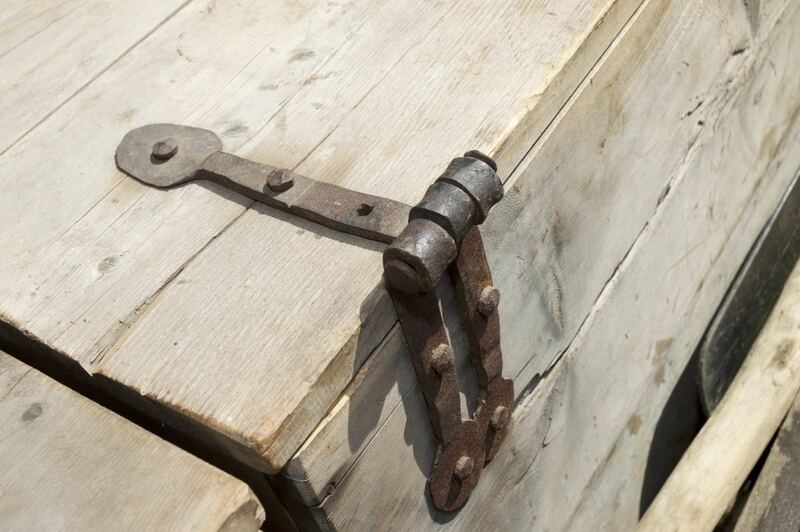 I have no doubt after speaking to the crew and looking at the fantastic batteau that they will do great. 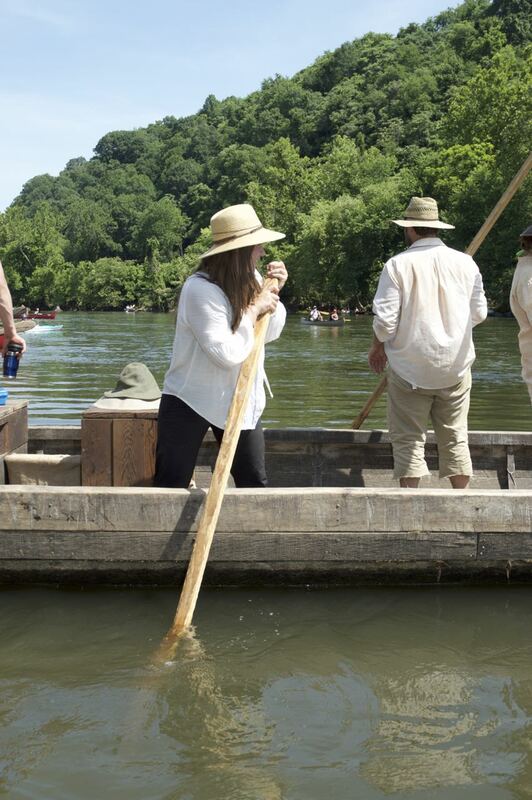 The woodworking details on the batteau were outstanding, even having steam bent gunwales on the ends and the ends even had a slight rise to them. 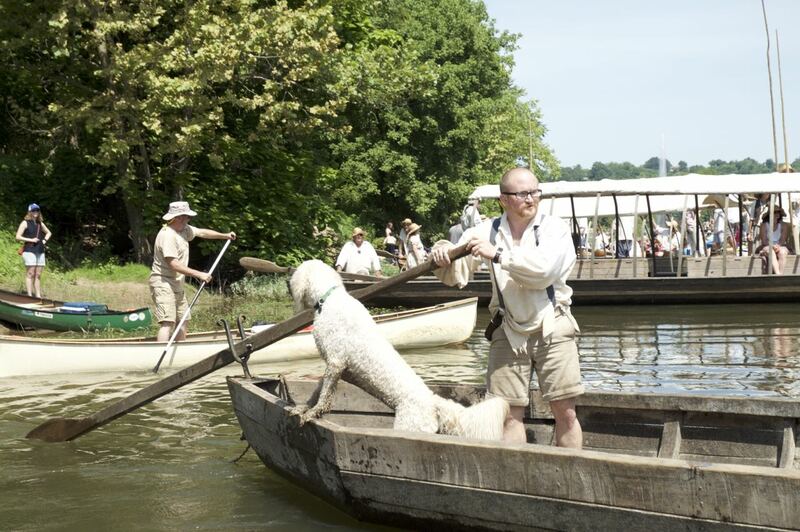 On board the batteau Lizzy Langly was their big white mascot dog named Mango. 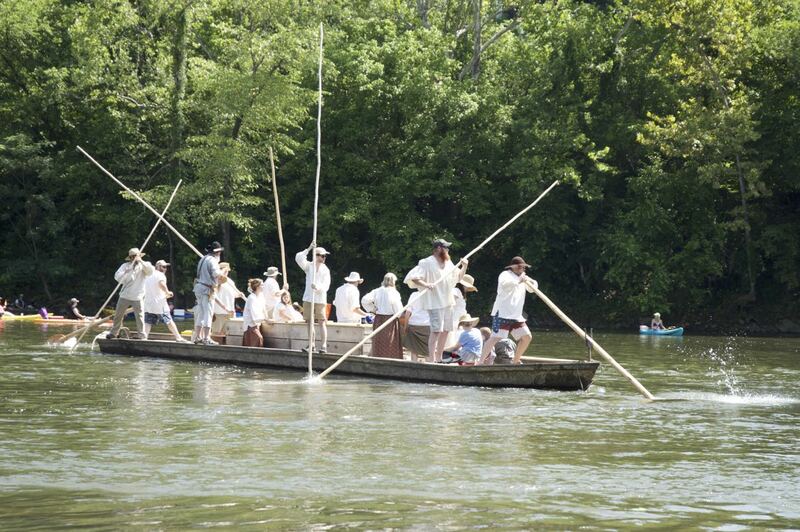 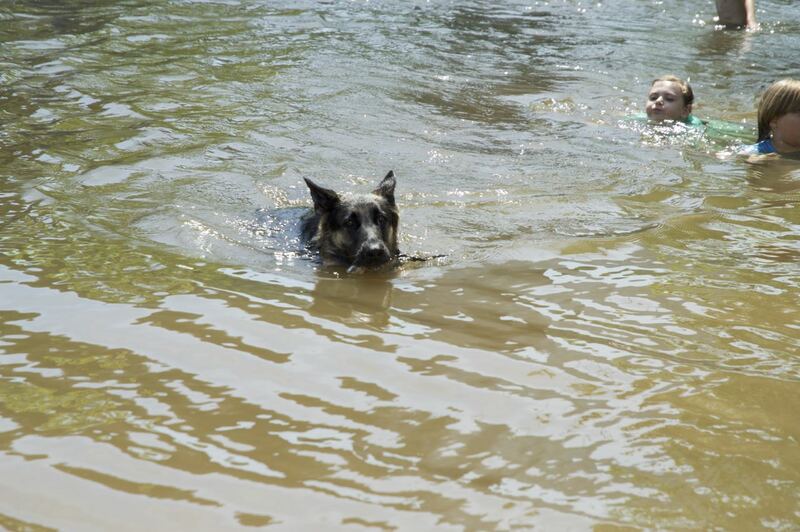 The batteaux left the island and headed down what looked like excellent water. 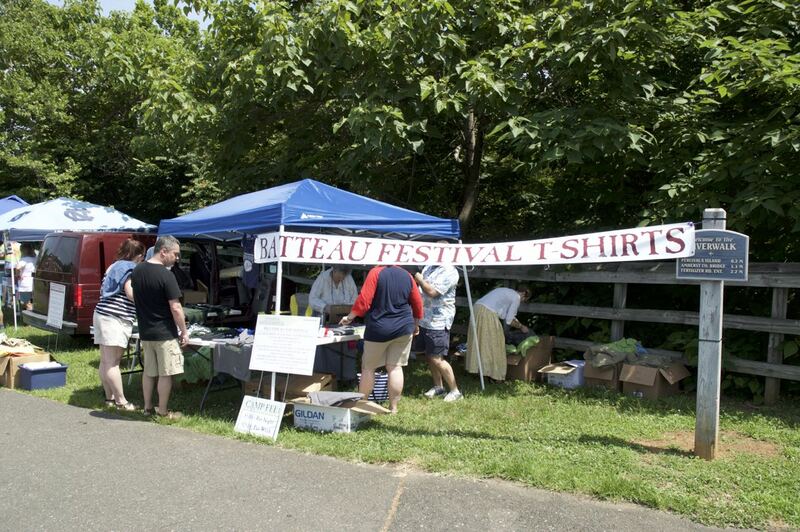 The festival is off to a great start.